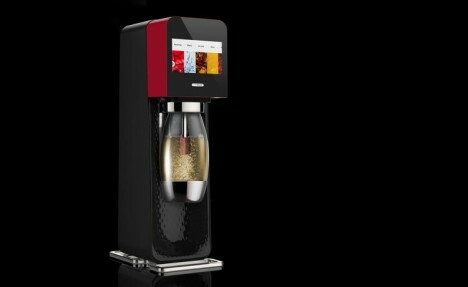 Anyone who has tried to carbonate alcohol or juice in their for-water-only Sodastream knows it always ends badly (or: take it from an author who has tried), but all of that is about to change with this new release. 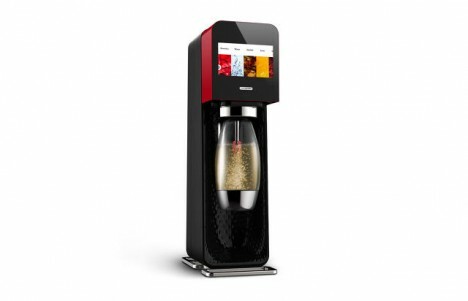 Their newest machine, dubbed Mix, is an elegant solution to carbonating all of life’s other beverages beyond your basic H2O, including but not limited to alcoholic drinks (bubbly red wine or orange juice, anyone?). 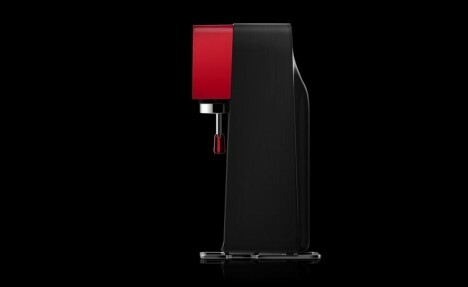 The tasteful new black-and-red design is sleek, featuring an integrated touch screen which allows you to tell the gadget what beverage it is supposed to carbonate. This part is critical, since each type of liquid has its own demands in terms of required CO2 input (see some unfortunate results in standard Sodastream machines below). 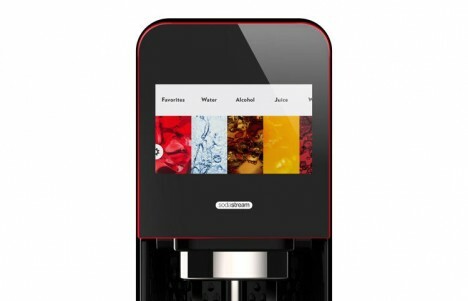 Designed to be sold to “foodies, trendsetters, and mixologists,” the gizmo can do anything from water to recarbonating your favorite-but-flat beverage. See more in Home & Personal or under Gadgets. May, 2015.